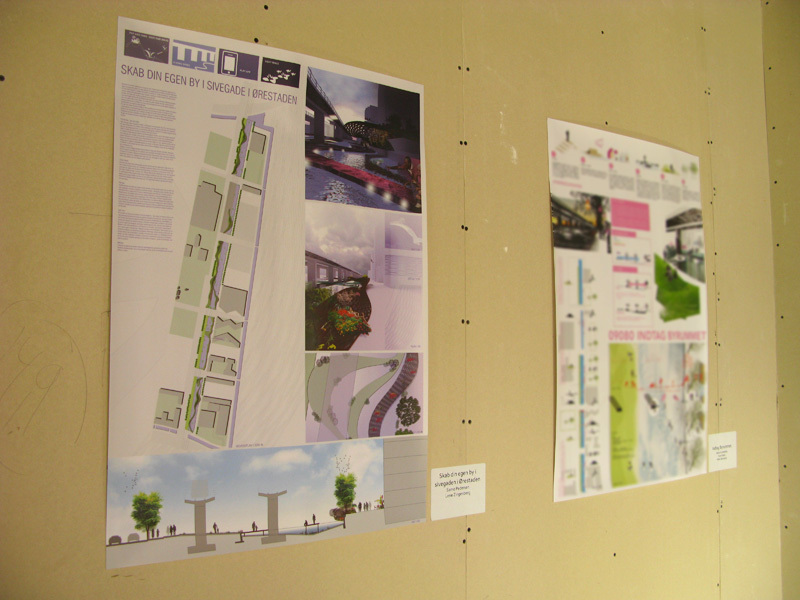 NoMadSpaceLab’s design proposal for new activities along Sivegaden in Ørestad City is currently exhibited in the Mountain Dwellings building in Copenhagen. 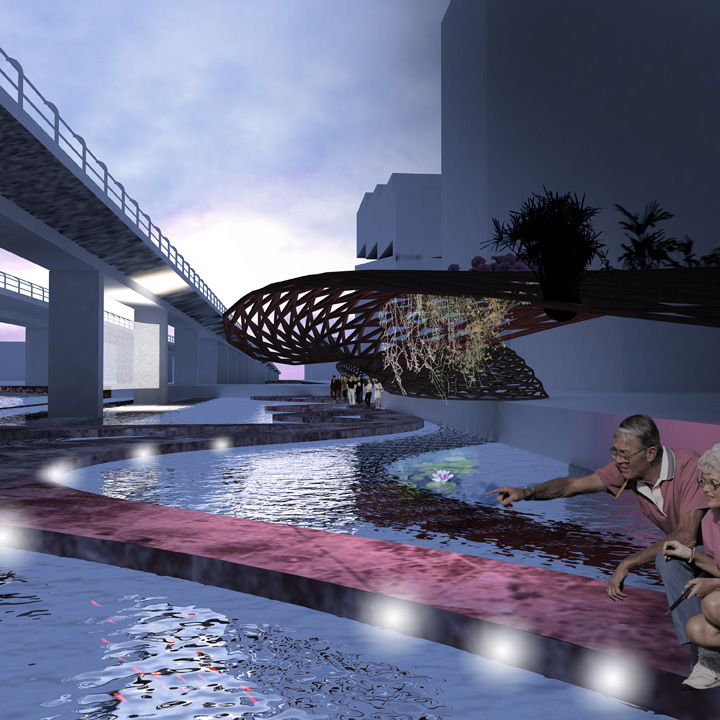 The proposal was developed as a countribution to the design competition “Byrum for Livet”, which was initiated as a response to the empty streets and lack of urban life in Ørestaden. 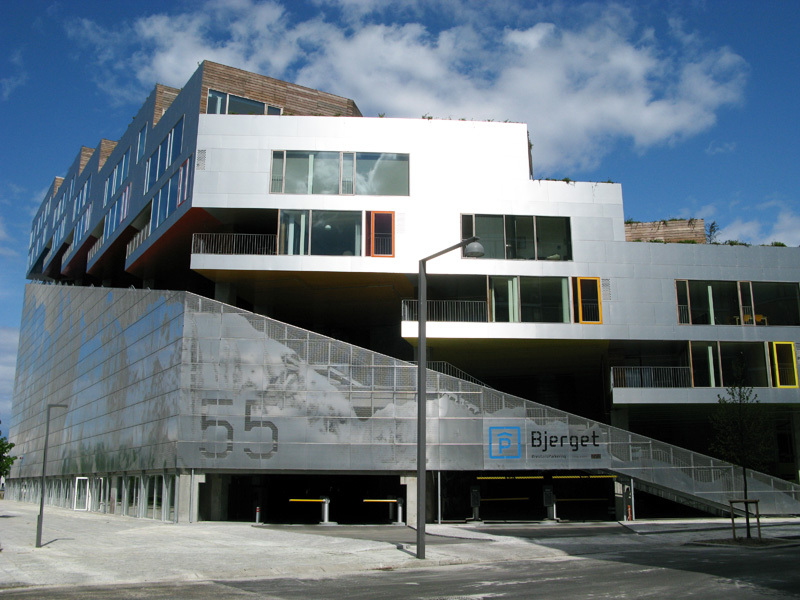 Design and influence the urban spaces and green areas and use the city as it suits you best! This is the overall idea of the design proposal for the area. To connect the area NoMadSpaceLab designed a coherent wooden structure, which also functions as the main element that will add more greenery to the area. Throughout the year flowers can be added, moved around and you can create your own patterns and caves with different greenery. 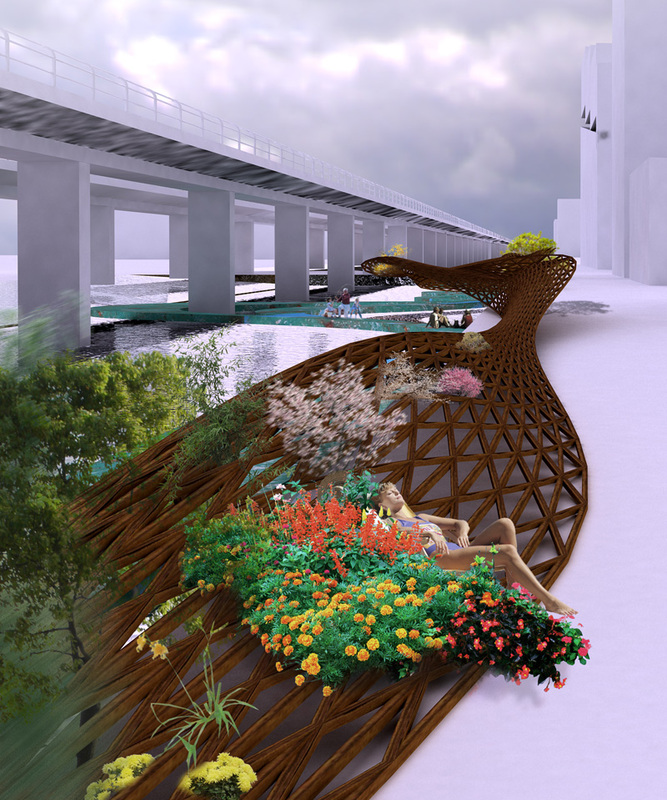 It will be up to the users of the area to initiate various activities along the canal, while the structure creates the overall framework for a flexible citylife where, for instance, people can build their own garden, use it for playing and climbing, for seating and relaxing, for sunbathing etc. The open and flexible structure allows users to define new activities in the city and tell their own stories. It helps the users creating an area that can be changed and adjusted according to each person’s specific needs. ~ by NoMadSpaceLab on July 12, 2011.